We cater for small and large groups, meetings and events, business lunches or friendly gatherings.You can choose from our large catered menu items, or order sandwiches, salads and grain bowls individually. We have several options and were happy to customize any order to fit your needs. Call us today! If you like tasty real food made by real people, with ingredients you recognize, you will love eating at Great Harvest. With hot and cold sandwiches in tempting flavor combinations, breakfast sandwiches, fresh salads, and grain bowls, we’re out to prove mealtime can be delicious and healthy. dinner or call in your catering order today! Bread. They way it ought to be. and other simple ingredients, from scratch daily! Fresh ground flour is better. Way better. Fresh milled flour has better texture and a more complex depth of flavor. Even the highest quality commercial flours are unable to duplicate it. The difference is obvious as soon as you taste our bread. 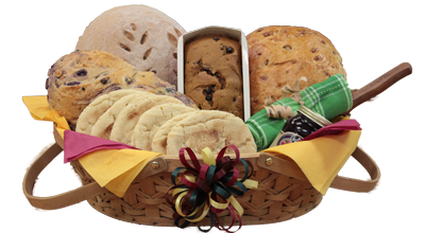 We offer a wide variety of delicious made-from-scratch breads and goodies each day. Great Harvest bread is truly one of a kind. It’s simple. Handmade. Wholesome. And tasty. Bread. The way it ought to be! We approach the creation of all our food with the same basic principles that were baked into our first loaf of bread. We believe that a life of eating real food is a journey, not a destination.